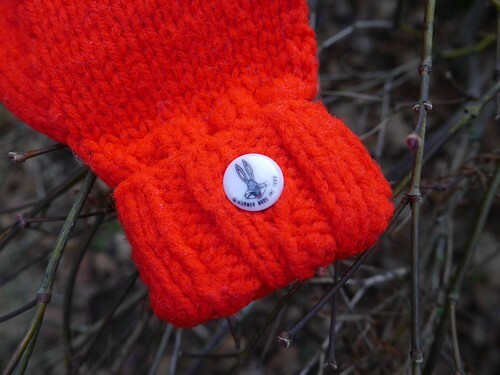 ← January is selfish knitting month: cast on with me! We took the same hike we did last July. 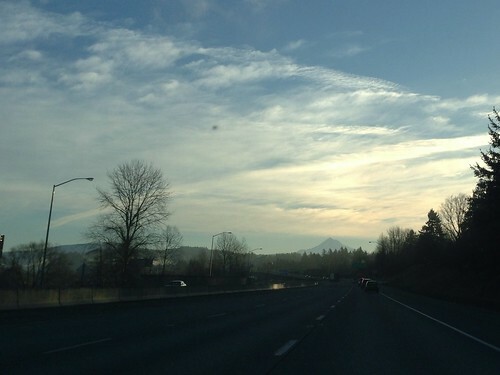 There’s more water now, but the snowpack is way below normal, so still not overwhelming. 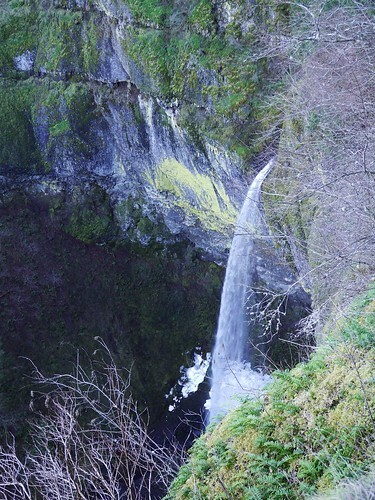 Same falls, from ground level. I love the snow ledge. Lots of people out this weekend! I’ve decided that 2014 will be the year of the purge. There’s too much stuff in the house. DH found these items in the back of a closet. 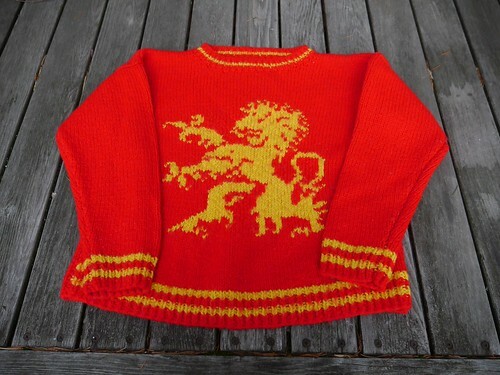 A Gryffindor sweater I knit for Kid2, maybe a dozen years ago. I’m sending it to a friend who will love it. And here’s a lone mitten from 1991. 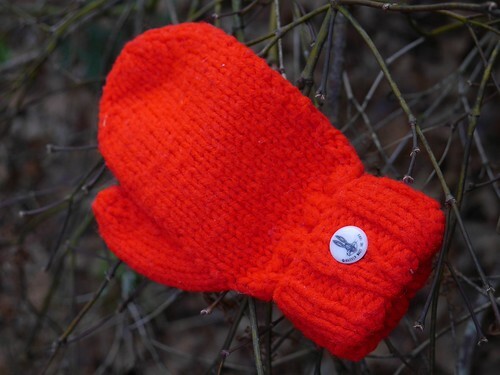 I knit 8 pairs of these, as birthday party favors. Knit flat (I didn’t know how to use dpns back then), seamed up the side. Bugs Bunny buttons, of course. Oddly enough, I knew exactly where the mate was. These won’t be purged, though. I may have to frame them. Or at least keep them in my sample box. What are your crafty plans for 2014? And don’t forget, I’m picking the winner of the Under 100 Knit Collection ebook tonight. More lovely things to knit! 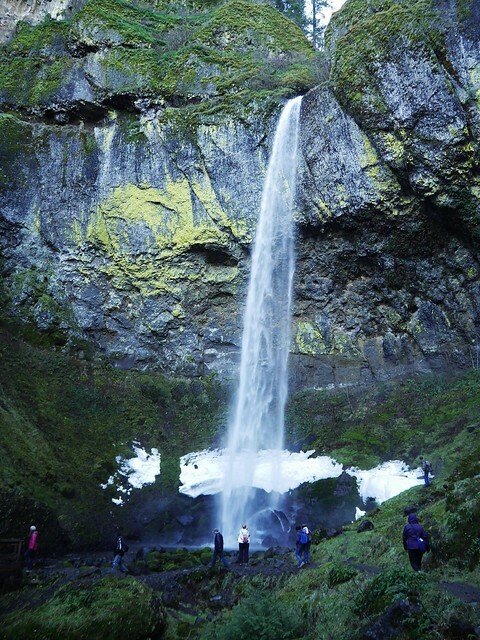 This entry was posted in Knit, travel and tagged columbia river gorge, Elowah Falls, Harry Potter sweater, hiking, mittens, Upper McCord Creek Falls. Bookmark the permalink. 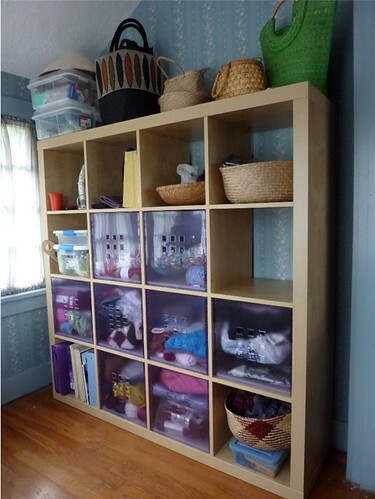 I redid my craft/work room just a year ago organizing by color (roygbiv) and using rolling elfa crates…on sale are the container store. It was a lot of work and a huge mess but so worth it. Have fun! You know …I don’t really have a plan for this year other than to knit down some of the stash. 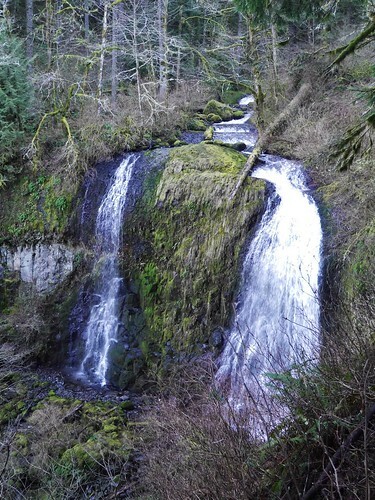 The waterfall pictures are beautiful! i don’t have any specific crafty plans for 2014, just to allow for more selfish knitting!